I love this clothing line called Fresh Produce. And best of all - you guessed it! 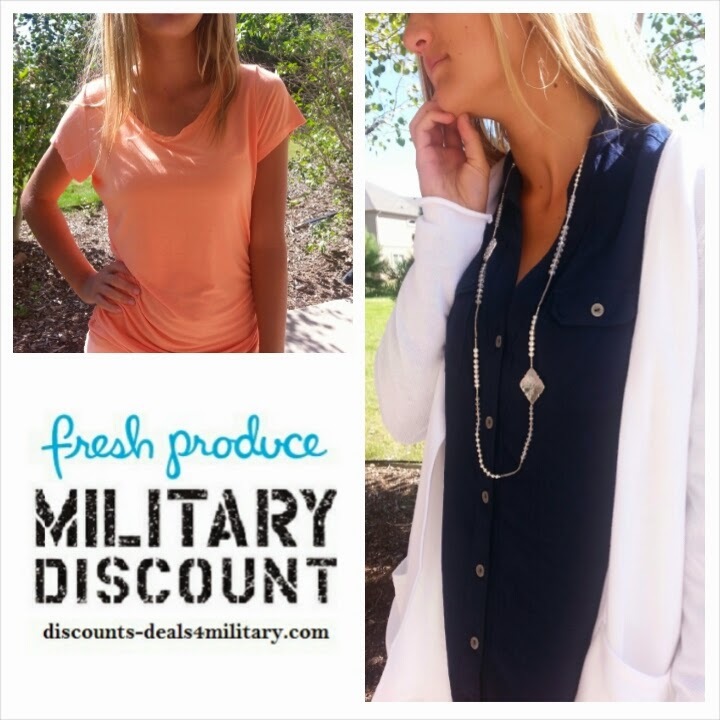 - they have a military discount! Starting August 1, their discount can be used online or in stores with proof of military ID (family members are also eligible). Check out one of their 26 locations across the country HERE. and fill out the required information. Discount will be automatically applied towards your shopping bag.